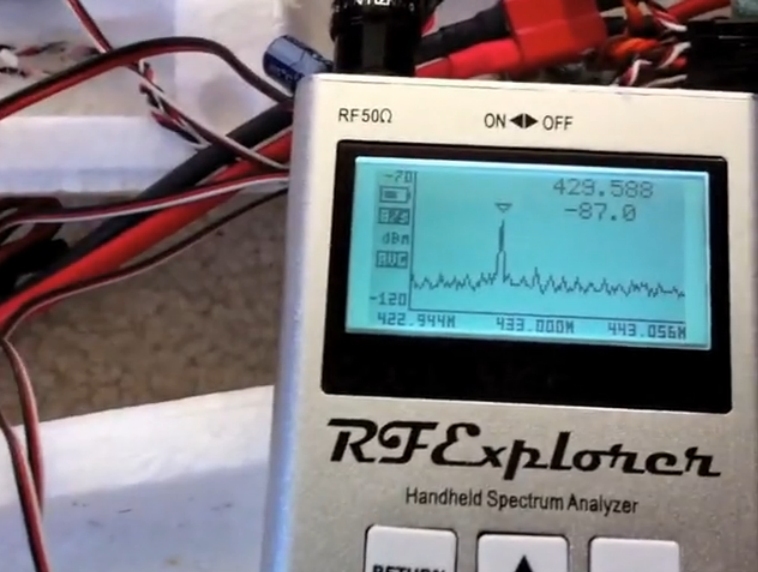 Are you a big fan of RF Explorer? Are you a novice who would love to get some advice from an experienced designer? Then you shouldn’t miss this interview. 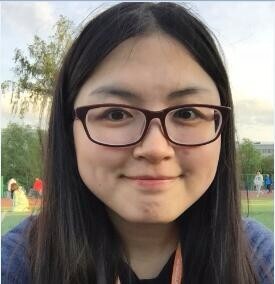 This time we interviewed Ariel Rocholl, who has 20 years of experience in Computer Science, MUC development and CAD design. 1? What helped to shape your cooperation with Seeed? Seeed has a great reputation on quality and affordable products, and a strong orientation to client satisfaction and innovation. After a couple of iterations of ideas with Eric, we were positive that a handheld spectrum analyzer was a challenging but feasible design. The interesting part was the introduction of the Propagatecollaboration service with designers, that helped a lot to canalize my effort on the right design areas while Seeed added value on production, distribution and retail. 2? What is your expectation for your design? The main goal is to offer a tool everyone can use to better learn, design, diagnose and improve Radio Frequency (RF, Wireless) products. Interestingly not everyone realize how difficult is to work on RF by going blind with no spectrum analyzer. Think on learning how a DC circuit is performing with no multimeter: if something goes wrong, and you cannot tell the voltage, current, etc in different critical parts of a circuit, there is little you can do… You may fix a problem by chance, but you cannot really learn or progress much with no instruments. If you now move from DC to low frequency analog circuits, an oscilloscope is the basic tool you need. But if you go with RF, a multimeter or an oscilloscope is of no use: the basic tool now becomes a spectrum analyzer. If you don’t have one you can only guess what is going on. After you try a spectrum analyzer for the first time, you will never want to go back to those obscure days when you were blind. Thank you for overnight insight into RF behavior. Concepts that eluded me for a long time were immediately made visible, and I guess this is the way it is for somebody playing for the first time with a good spectrum analyzer. Who can afford it? Inexpensive high-end units could be defective. In hardware, problems are difficult and dangerous to diagnose. High voltage exists, and unless your unit is perfect, how can you trust your measurements? Then this thing comes along. I am so grateful, because my learning accelerated at a frightening pace. I love what you are doing, and am an ardent follower of your well-designed support resources. 3? You have 20 years of experience in Computer Science, MCU development and CAD design, which is an invaluable asset. What are the suggestions you’d like to give to novices in this field? My advice is to patiently use every opportunity to learn new things, both at technical level and at human-relationship level. Too often I see novice people trying to walk faster than their knowledge on real facts permit;in my view, if you don’t go to the bottom of things, you could barely use that experience in the future. There is no job, even the less demanding, most repetitive and tedious one, that cannot teach and prepare you for the future if you approach your tech life with enthusiasm and humility to learn lessons from people with more experience, and at the same time use self-criticism to improve things that you see are not optimal. Tech people love to share knowledge, if you take the time to listen you will learn a lot. One day you may realize you know more than you thought and are ready to start really challenging things. 4? There is a saying like this “Inspiration comes from life” What’s your view in this saying? Can you give us an example about how life affects your design? That is certainly true in engineering and hacking. We makers love to do things that are really useful and fill a gap. Interestingly, RF Explorer was born as a diagnose tool for Radio Control airplane pilots. Since a few years now, the RC world is on a big revolution due to all the improvements done in drones, FPV, 2.4GHz spectrum radio link, video links, etc. There is plenty of technology there, in some cases really outstanding achievements. But something was missing: there were simply no way for a pilot that put $2000 equipment on an RC plane to observe the RF spectrum and detect potential collisions or interferences, most just flied the plane till it started to get control or video link problems, in the hope that not being too late or too far to get it back under control. RF Explorer changed that for good: most pilots just do a careful inspection of the spectrum on different frequencies at the flying field now, as well as the internal plane setup, to proactively detect problems before they put in risk the expensive equipment on board. In many cases, RF Explorer helped to finetune the internal plane in a way that electronics radiate less interference and so the plane get farther distances safer. 5? You are passionate about Radio Frequency digital communication systems and services. When and how did you begin to be interested in it? I recall reading about DIY radio projects in magazines since I was a kid, probably 7 or 8 years old. All RF I could afford was pure basic analog circuits, typically in the AM band, to do simple things such as hearing distant transmissions better, or play with walkie-talkie basic circuits with friends. I was just fascinated by how you can control or listen to things that are far away, with no apparent physical connection. With my EE degree in Telecommunications I got a clear picture of the mathematical models we have for how an electromagnetic wave travels in space, but it still fascinates me. 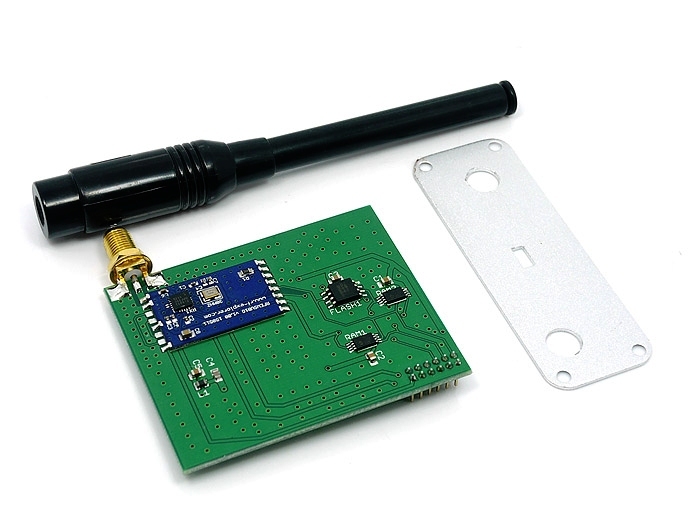 Technology changed a lot, so as RF hackers we have access now to plenty of low cost transceivers and incredible devices we couldn’t just dream of a few years ago, it is the best time ever to tinker on RF. 6? What was the toughest problem that you had to handle before launching RF Explorer? The main requirement was offering a spectrum analyzer in the range of $100, and that was really challenging. There were many different aspects that were easily pushing us in the range of $300 or more. One of the toughestI remember was to design the Digital – RF link in a way that wouldn’t need an internal cage EMI isolation, which is expensive to produce and requires custom PCBA. Why you would need that? The RF circuitry in RF Explorer is so sensitive that can detect RF activity in the range of single digit nanoampere (-120dBm), literally. That made it pretty much sensitive to all the digital activity done by the internal CPU, so it was a huge effort in firmware to compensate digital activity to have no impact on the RF section. This is one of the reasons I selected a Microchip PIC24 MCU;it has a set of unique features that helped a lot of reducing interference with no need to add expensive EMI isolation cage. For the same cost-contention reason, I had to stay away from 4-layer RF special dielectric PCB, which is standard practice on high performance circuits at these frequencies. 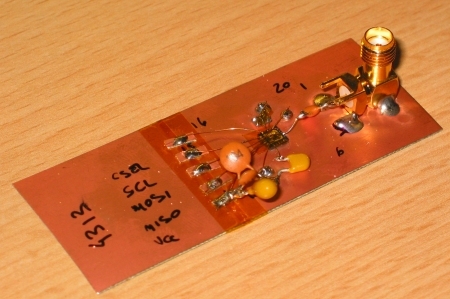 To minimize the impact of using 2-layer PCB, a lot of prototyping was needed, applying RF PCB best-practices techniques. We worked through a RF independent board design pluggedin the mainboard in a way that gets the best of a 4-layer PCB design while actually being a 2-layer board. 7? What do you think is the most important quality to be a good designer? 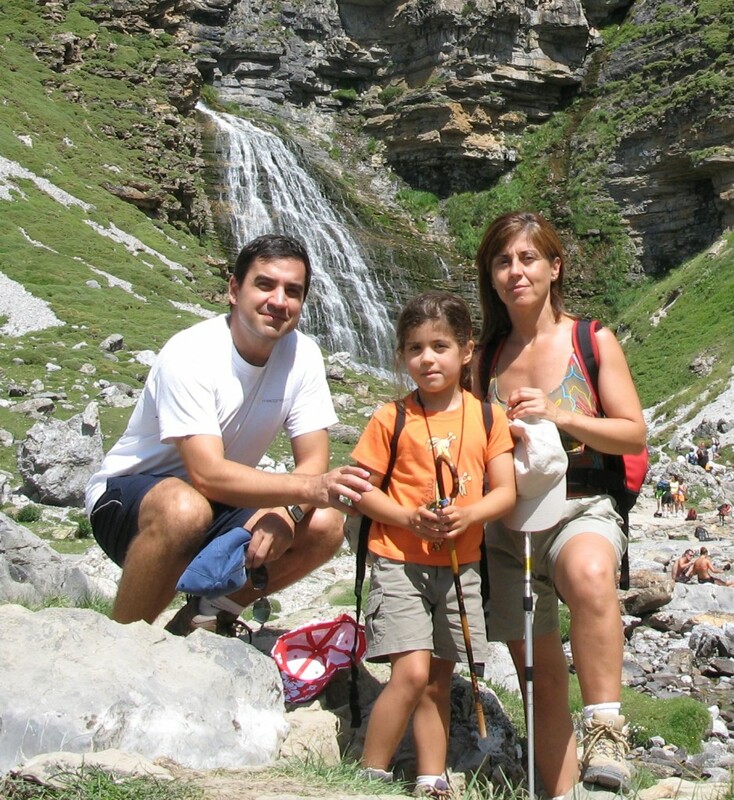 Probably being open-minded: Never limit yourself to what you think is the best way of doing things. There are probably other “must have” attitudes you need in order to success in EE designs, such as being perseverant and rigorous, but if you have that while are not receptive to criticism, ideas from others and natural curiosity about new emerging technologies, you will be very limited on what you can achieve. 8? In what way did open source initiatives affect your career as a designer? How do you look at the future of open source hardware? I was active in the open source software world since I started playing with computers. Back in the late 80’s, the tech world was a very different place than today and the options were very limited: think on no Internet, no file sharing of any kind, bulky 2nd hand books as the only available datasheets, etc. Nevertheless, there was a nice “shareware” world by then. Under shareware I produced tools and applications and included the source code. One of the most successful applications I did at the time is still available online as a free download at http://paldraw.arocholl.com . It helped people using HP handheld devices to design and review CAD and tech drawings on the palm of their hands. More recently with Internet being a basic facility available everywhere, not only OSS but also OSH blossomed beyond everyone’s expectation. Thanks to a community where Seeed is a major player, I believe the best days of OSH are still ahead of us. Hey guys , who else ever had an idea of make your own computer cooling fans(external ones)?